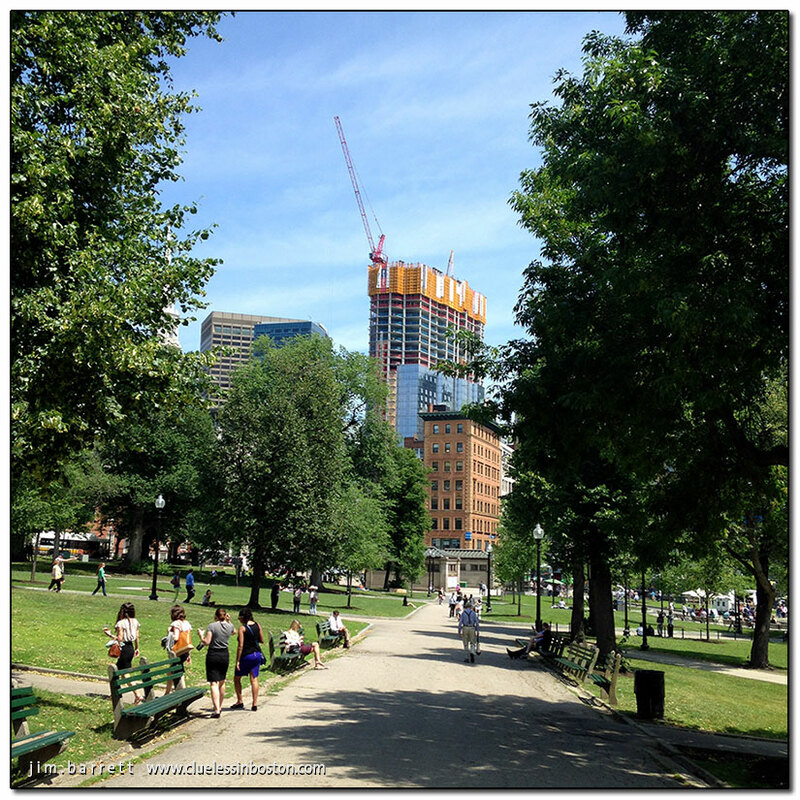 View of the new 52 story building going up (with red crane) on the site of the original Filene's of Boston, as viewed from the Boston Common, June 18, 2015. You can see a different perspective from one of my earlier posts of this building from February 2014. Here is another view of the building site, when the old Filene's was being torn down, from April 12, 2008. No such skyscrapers in Haninge. But work will soon begin on a 18 story building. I'm assuming this will be an office building??? Thanks for the update. This is going to be a BIG change.